Hero6 stabilisation and playback issues ! So I bought a Hero 6 on Boxing Day and scored a deal that I’ve been hanging For, I sold my hero 3+ Black Before hand and have been eager to get my hands in the new 6. Took it out for a little test run to get the hang with all the new features, the stabilisation was the feature I was most keen to test out and I filmed a few videos in a few different settings and all of them are bouncy and lagged some worse than others. I’ve read through other blogs on the forum and I feel like they aren’t actually answering the question. If I set the video settings to auto and click the action button I shouldn’t have to worry about it not letting enough light in the shutter and the stabilisation not working. That’s not what your paying top dollar for. And who has the time to fiddle around every time you want to take a video because you’ve turned a different direction from the light. I’m no expert in filmography so I use the auto setting to make my life easier and allow the camera to adapt to my conditions, I’m more than happy to play around with the images after filming in the edit. I feel I’ve been massively ripped off and I don’t want to take it back because I really want to love it but I can’t see how I can when it doesnt do what every promo video you watch says it does, which is BUTTERY smooth image stabilisation. And I use a 32gb Sandisk extreme SD card that GoPro recommend. Re: Hero6 stabilisation and playback issues ! @khong07 I took the camera back to where I bought it. And asked for an exchange, they didn’t want to because they didn’t think it was a valid reason. But it completely is, the camera was faulty and that’s that. I got the new one and did a few test videos. Just running and walking with it, Filmed in a load of different capture setting and all seems to be fine. I haven’t had the opportunity to do any real filming yet but it seems to be working fine. I think that it’s a fault with the headwear in certain cameras. Correct it is A solution but not the solution as the camera should be capable of filiming a nice smooth footage when I am simply walking, that’s what they have marketed this camera as capable of doing and more ? 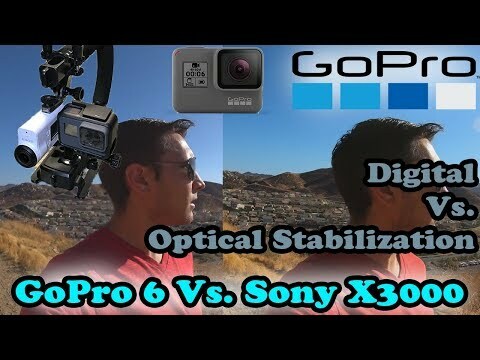 Well, compared to the Hero4 (no stabilization) and Hero5 (very rudimentary 2-axis stabilization) the stabilization in the Hero6 seems to do wonders even when walking if you hold the camera reasonably still in your hands and there are plenty of daylight. That said, no one expects miracles from a software based de-warping stabilizator like the Hero 6 uses. It will of course never be "totally shake free". It's simply not technologically feasible. At least for now. Aside from using gimbals, more effective solutions are mechanical like the sensor shift/tilt in M43-cameras from Panasonic and Olympus (like GH5 etc), similar mirrorless from Sony (A7 series) etc. And Sonys FDR-X3000 action cam which combines both mechanical and software based stabilization is generally acknowledged to be superior to the Hero6. Also remember that as the EIS works on the image after it has come out of the sensor the image can still have motion blur which, on an EIS stabilised image can look like pulses and weird jitters. This often happens when walking and the leading foot hits the ground sending a small but discernible jolt through the body and into the camera. I understand the camera stabilizes the image, like i say im no expert but ive watched videos of people running, bmx, etc. and their videos are smoother than mine, I will uplodad my footage so you can see what i am talking about. Excuse the audio I cant figure out how to mute it. if i can walk and my footage be juttery, please explain this. 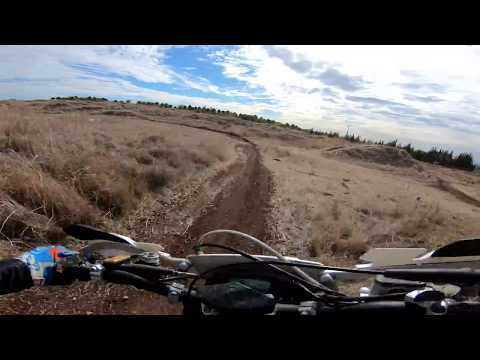 GoPro Hero 6 - AMAZING stabilization on a dirt bike!